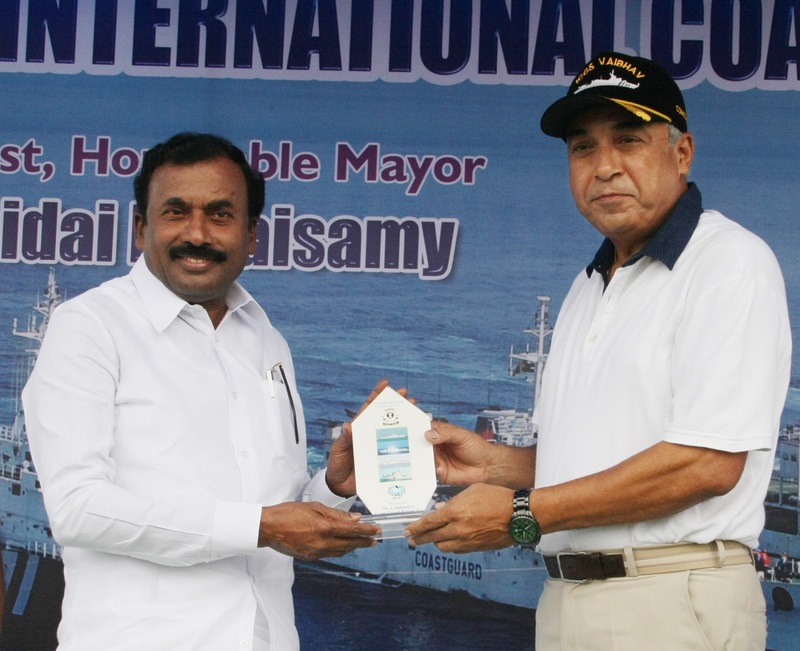 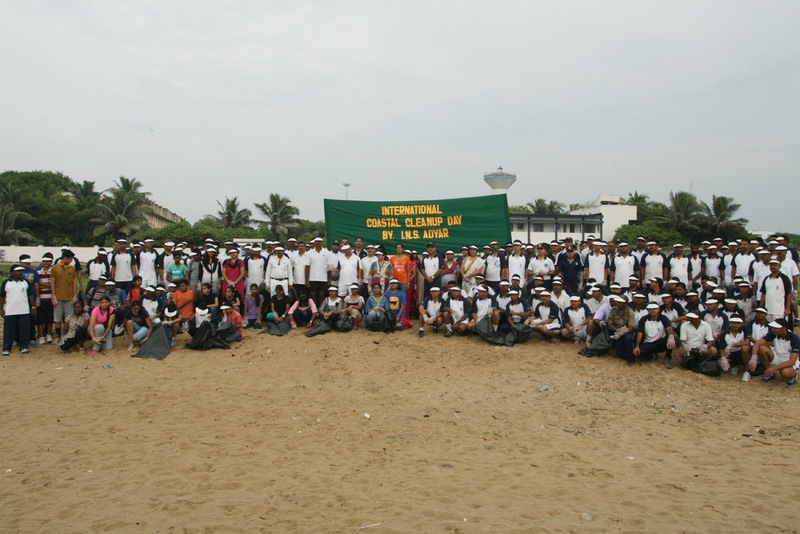 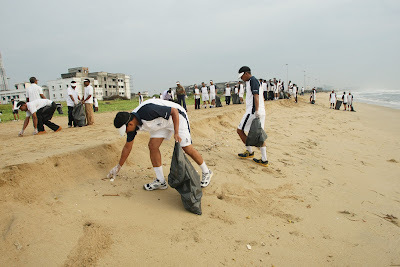 International Coastal Cleanup day was observed by INS Adyar, the Navy Office Chennai on 19 September 2015 at the sea shore, adjacent to the Navy Office. 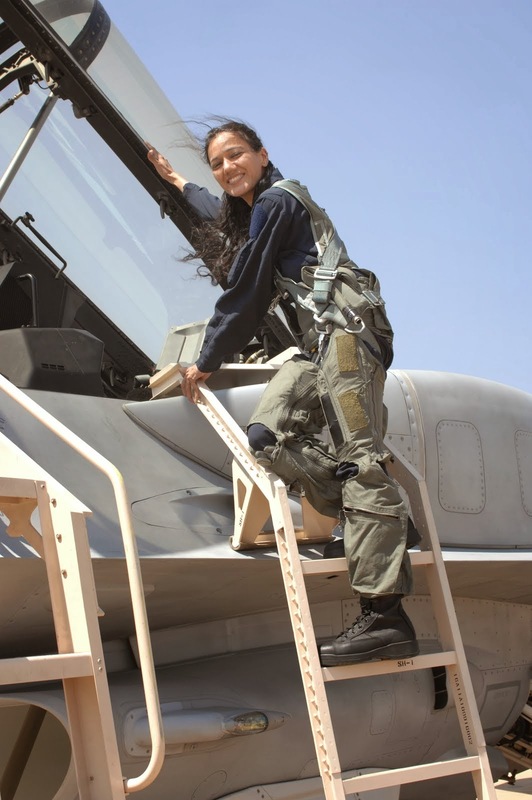 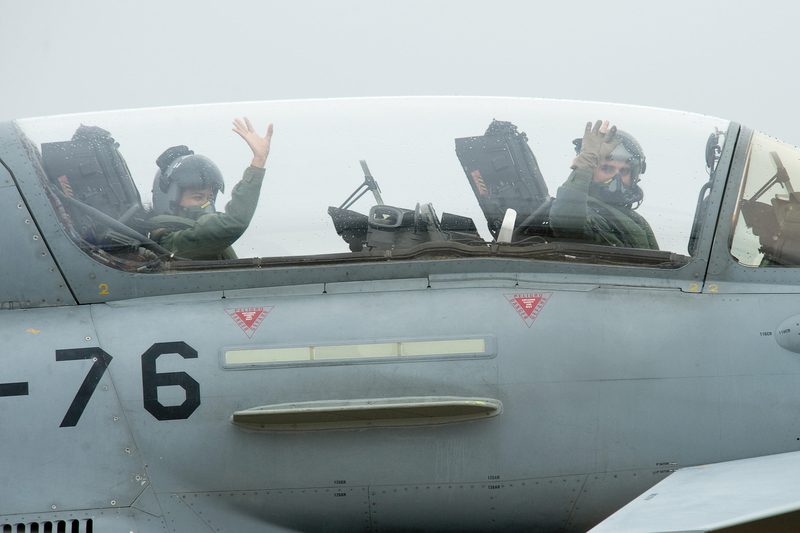 More than 1000 Naval personnel comprising of Officers, Sailors and their families and school students participated in the coastal cleanup activity. A large quantity of non-bio degradable material was removed from the beach. Commodore Alok Bhatnagar, Naval Officer-in-Charge (Tamilnadu & Puducherry) inaugurated the Coastal Cleanup day programme and took part in the cleaning activity along with the Naval personnel and their families. 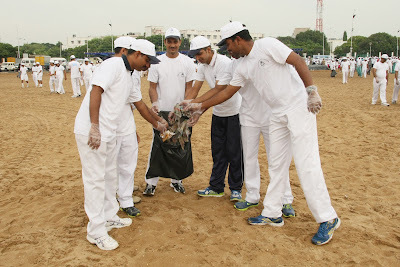 International Coastal Cleanup day was observed by Coast Guard Region today (19 Sep 2015). 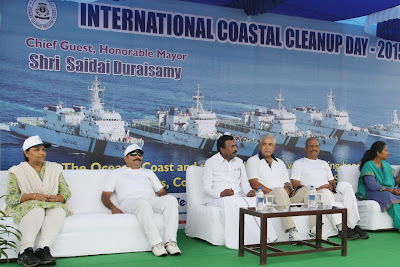 Shri Saidai Duraisamy, Mayor of Chennai Corporation inaugurated the International Coastal cleanup day in presence of Inspector General SP Sharma, Commander, Coast Guard Region (East), IG (Coastal Security Group) Tamil Nadu and senior Coast Guard Officers from various Coast Guard Ships and establishments. 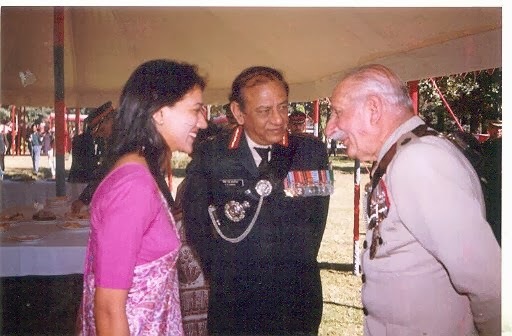 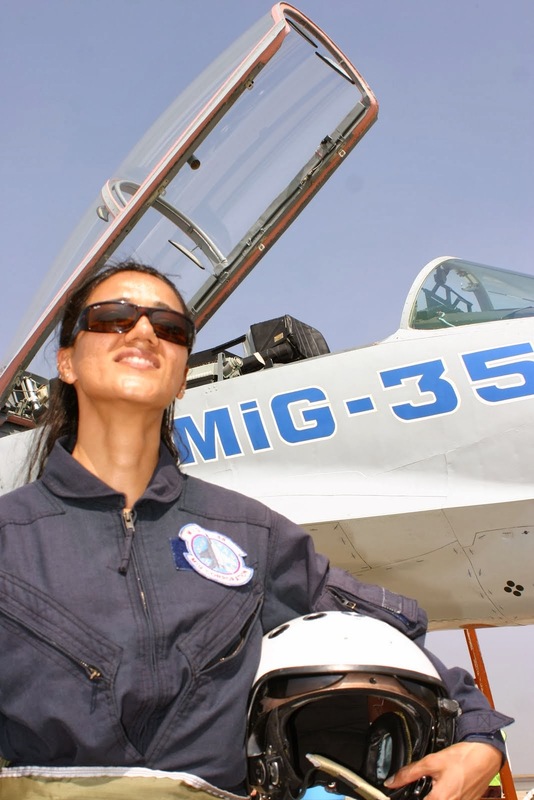 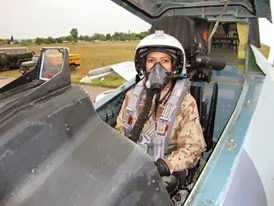 The event was organized by the Indian Coast Guard as a part of United Nations Environment programme along the Chennai Coastline off Marina Beach and Elliot Beach. The event is also to support the “Swachh Bharath” mission launched by the Honourable Prime Minister. 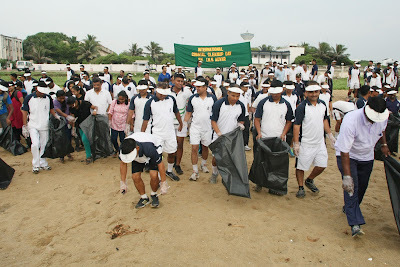 About 3000 personnel including families from the units of Coast Guard, Student volunteers from various Schools, Colleges, National Cadet Corps, NSS and NGOs were participated in the International Coastal Cleanup Day programme at Marina beach in Chennai. Speaking on the occasion the Chief Guest highlighted and stressed the need to keep the Beaches and Sea area clean and free from all kinds of litter and pollution. 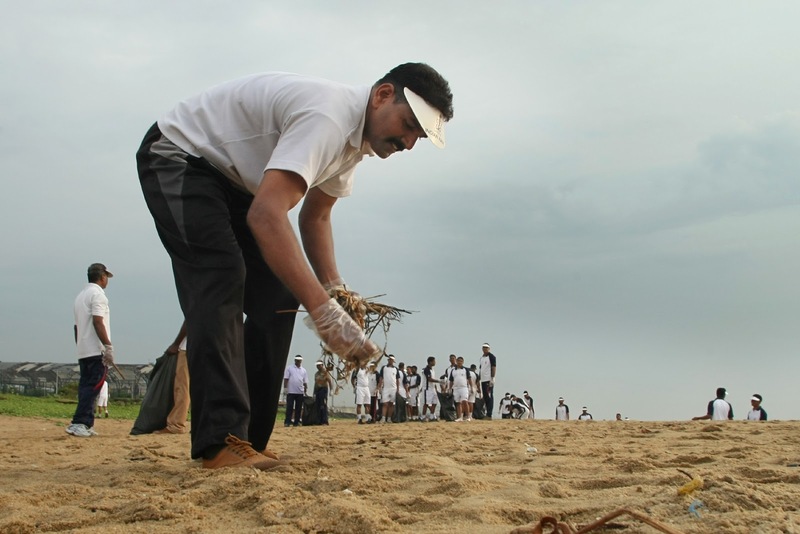 He also requested the general public to ensure safe, hygienic and secure beaches to enjoy its beauty as Marina Beach is the second largest Beach in the World. 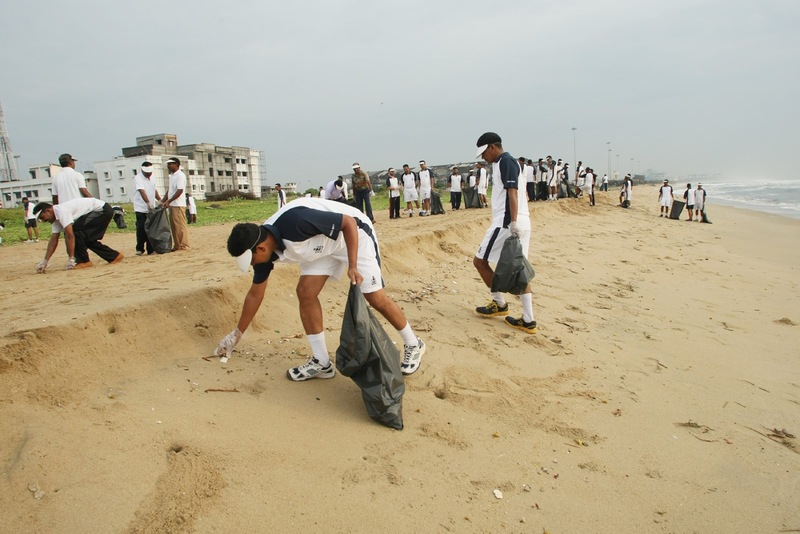 International Coastal Cleanup day is organized on the third Saturday of September every year towards maintaining the Beaches `Safe, Clean and Green’.